Research admissions at IIIT-H are open for the Winter 2018. Admission is restricted to PhD programme which will provide access to our vibrant research programs in the core areas of CSE and ECE. Applications are invited from individuals with passion for engaging in cutting edge research and who aim to transform industry and society by developing a new theory, technology or applications. To qualify for the interview call, candidate has to appear for a written examination scheduled on 2 December, 2018 from 10.00 AM to 1.00 PM at Hyderabad. Exceptional candidates with a good track record may qualify directly for the interview. To be considered directly for the interview, application must be completed by November 10, 2018. Decision on the same will be intimated by November 15, 2018. 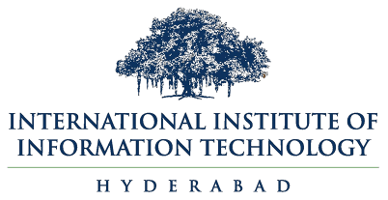 The written Examination is scheduled this year on December 2, 2018 and interview is schedule on December 4, 2018 at IIIT Hyderabad. The details of the exam/interview will be informed to applicants via email. Complete the online application process which has two parts - Registration Form and Application Form. Incomplete applications will be rejected. An application fee of INR 2000 (Non-Refundable) is payable to complete your application process. Payment can be done through Credit Card/Debit Card (Visa/ Master Card) or Net Banking. This is objective type question paper and will emphasize on basic aptitude, logical reasoning, basic questions on mathematics. Paper II is subject paper. Based on the graduation, candidate has to appear for relevant subject papers. All fulltime research students are fully supported in terms of tuition fees and stipend as long as they maintain good academic standing. Full financial assistance requires the student to put in 20 hours of work per week. A minimum of Rs.15,000/- and upto Rs.21,000/- per month (Based upon performance in course work) until completion of Comprehensive Examination. A minimum of Rs.22,000/- and upto Rs.30,000/- per month (Based upon candidates performance in research work) after comprehensive examination. Externally funded fellowships are also available to PhD students after admission. These are based on application to and selection by the respective funding agencies. Some of the fellowships held by our current PhD students include TCS, Visvesvaraya, Intel, Google, MSR, IBM, etc. Please send a mail to pgadmissions@iiit.ac.in for any queries. Please check your "Bulk" or "Junk/Spam" folders also for any missing acknowledgement e-mails. Mere registration will not be considered as submission of the application. Application fee is non-refundable under all circumstances.